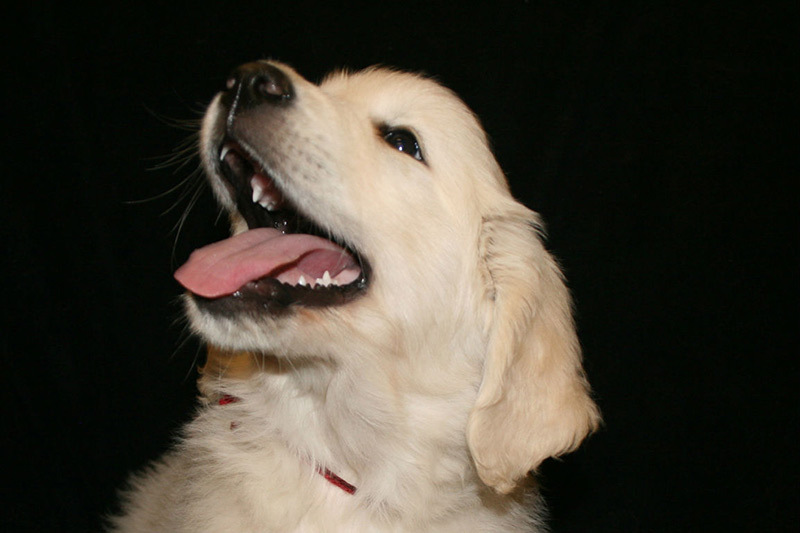 Golden Retrievers have long been a popular dog in the United States thanks to their loving, loyal temperament. Most owners will find them to be excellent companions to the entire family. The Golden Retriever is easily trainable, making them a perfect hunting companion. They are a great guide dog and are often used for search and rescue parties along with being trained as companions to the blind. The Golden Retriever loves to please and they love to play. 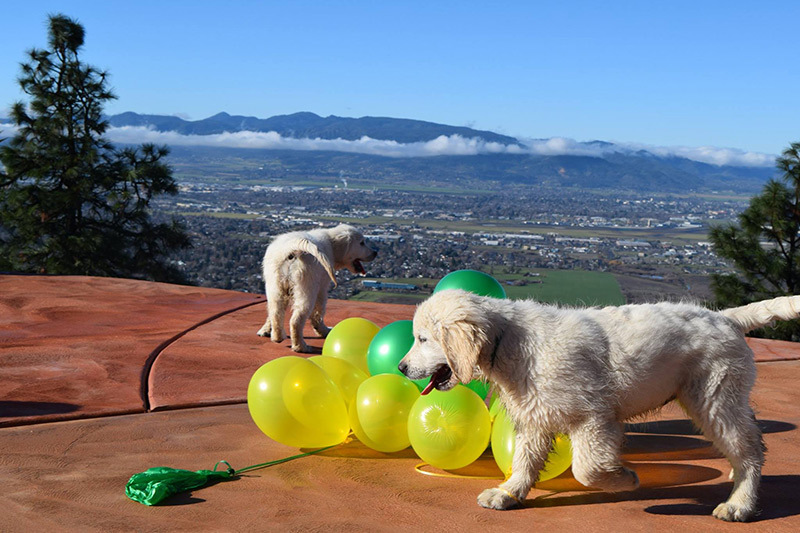 Golden’s are active, energetic and social animals. They require daily exercise and their water repellent double-coat sheds seasonally and needs regular brushing. They have a very friendly temperament and their striking color makes this breed both beautiful to look at and a joy to own. They are a member of the Sporting Group and average in size from 55 to 80 pounds. They are devoted companions and excellent hunting dogs. Color- English Golden Retrievers are known for their brilliant cream/white coats that are much lighter than those of their American relatives. Temperament– While all Goldens are known as sweet, loving family dogs, the English Golden Retriever enjoys the reputation of being slightly more mellow than the American. Health- According to studies from the Golden Retriever Club of America and the British Kennel Club, English Cream Golden Retrievers enjoy a 15% greater life expectancy (19-months) than the American Golden. Build- The English Golden Retriever has a more stocky build, a blockier head, and a frame that is built slightly lower to the ground.